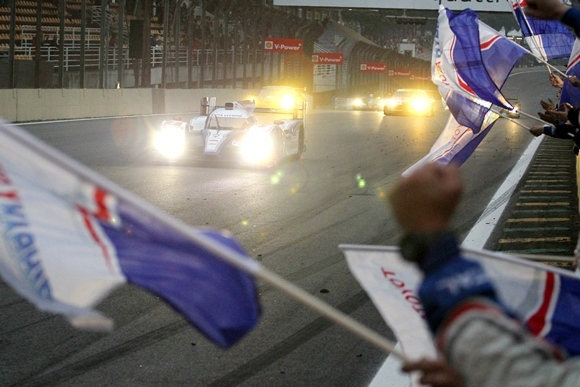 The Toyota TS030 Hybrid raced to a first international race victory at the weekend, with a superb win in the latest round of the FIA World Endurance Championship in Sao Paolo, Brazil. 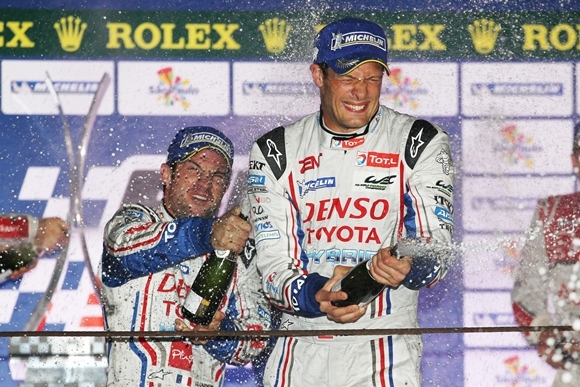 Drivers Nicolas Lapierre and Alex Wurz led the race at the Interlagos circuit from start to finish, sealing a win for the Toyota Racing TS030 Hybrid in just its third outing. In doing so, they also maintained the car’s impressive record of leading every race in which it has competed, including the Le Mans 24 Hours and the WEC round at Silverstone, where it finished second. You have to go back to 1999 for Toyota’s last FIA international event win, the Rally of China. And it was back in 1992 when it last took an endurance race victory, with the TS010 at Monza. 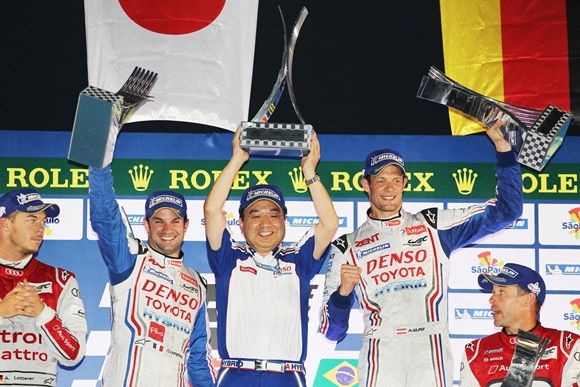 As well as being a sporting landmark, it’s also a milestone in the development of Toyota’s hybrid technology for motorsport. 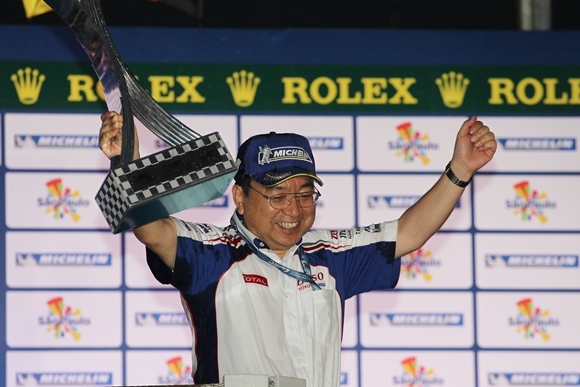 That project began in 2006 and the man who masterminded it, Hisatake Murata, is now Toyota Racing’s Hybrid Project Leader. Since a Toyota Supra became the first hybrid in history to win a motorsports event, in 2007, Toyota has steadily developed its pioneering technology. It has made it lighter and more powerful, to the point where it can deliver the performance needed to win at the pinnacle of international sports car competition. 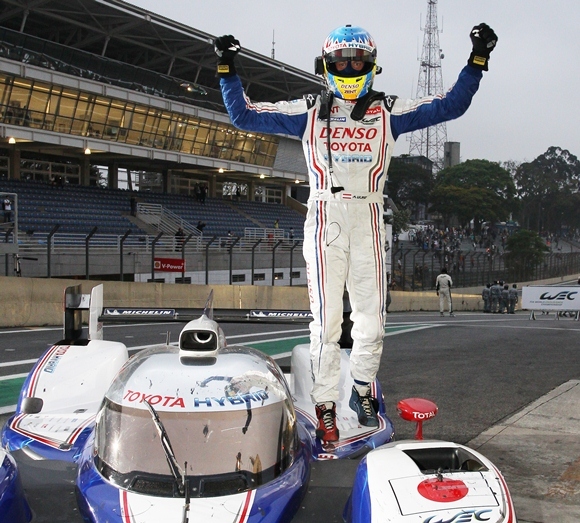 When he took the chequered flag, the Toyota was more than 40 seconds clear of its nearest challenger. Toyota Racing will be out for more success when it next takes to the track at the Bahrain International Circuit on September 29th, when Nicolas and Alex will again be piloting the TS030 Hybrid.